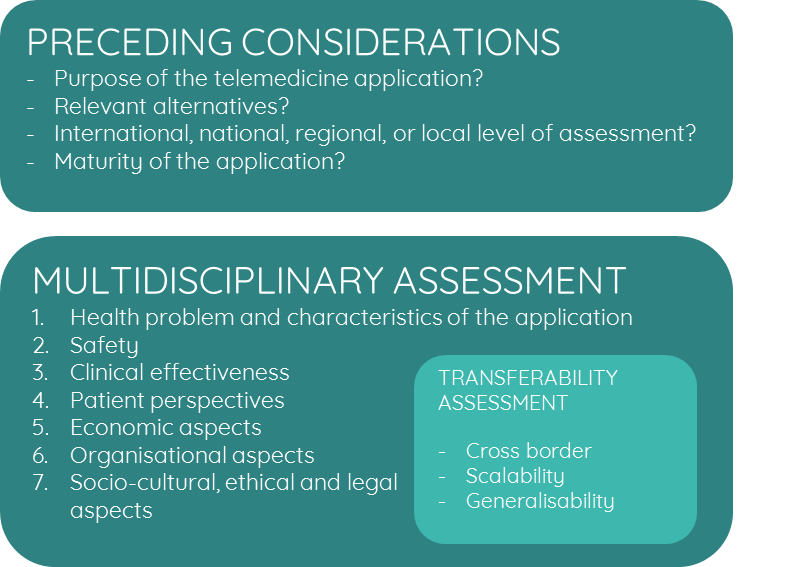 MAST takes a broad view and analysis of the factors and areas to consider when introducing and implementing eHealth and telemedicine interventions in an existing healthcare setting. The MAST assessment tool is a result from the MethoTelemed Study and uses the EUnetHTA Core Health Technology Assessment Model as a starting point. As depicted in the figure below, the principal elements of MAST consist of three steps. In the first step, a number of preceding considerations are made regarding legislation, reimbursement, and maturity of the application. This step enables explicit decision-making regarding the implementation of the targeted innovation. This step is designed to take into account the factors found to be relevant when implementing complex interventions in healthcare settings. The third and final step addresses the transferability and scalability of the implemented services to other healthcare contexts. 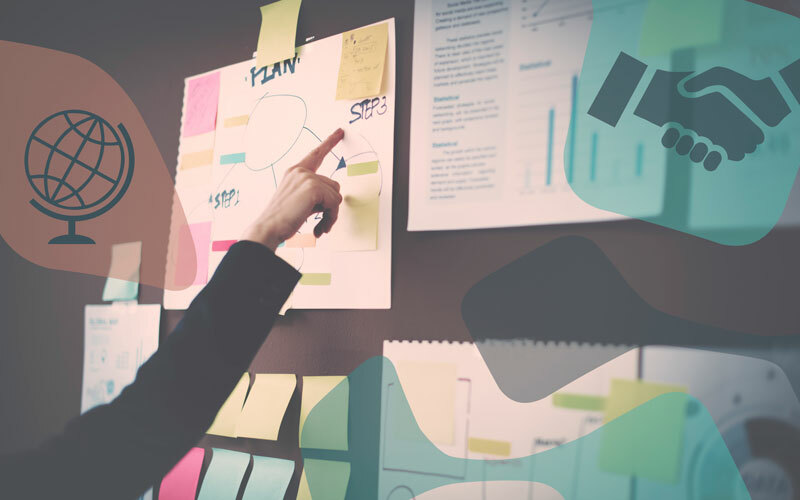 In this step, relevant contextual information of the outcomes of the multidisciplinary assessment (step 2) will be provided in order to enable others to determine the applicability of the findings to their contexts. In the article by Kidholm et al. (2012) and the MAST manual you can find information about how this can be done in practice within the seven MAST domains.